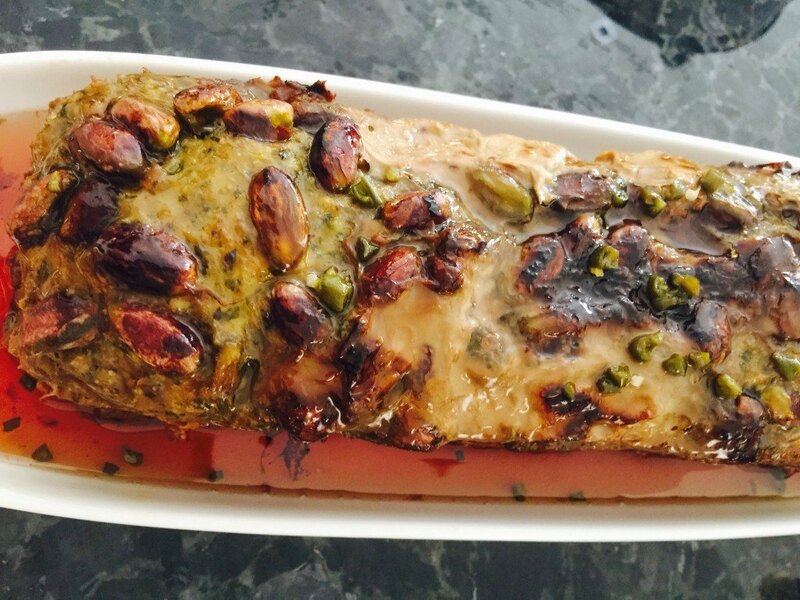 Pork and Pistachio Terrine with Chili Quince Glaze. This is a combination of ingredients I love to use. It’s ingredients are simple and the outcome is lovely. Good enough to serve for any occasion but simple enough to make anytime. 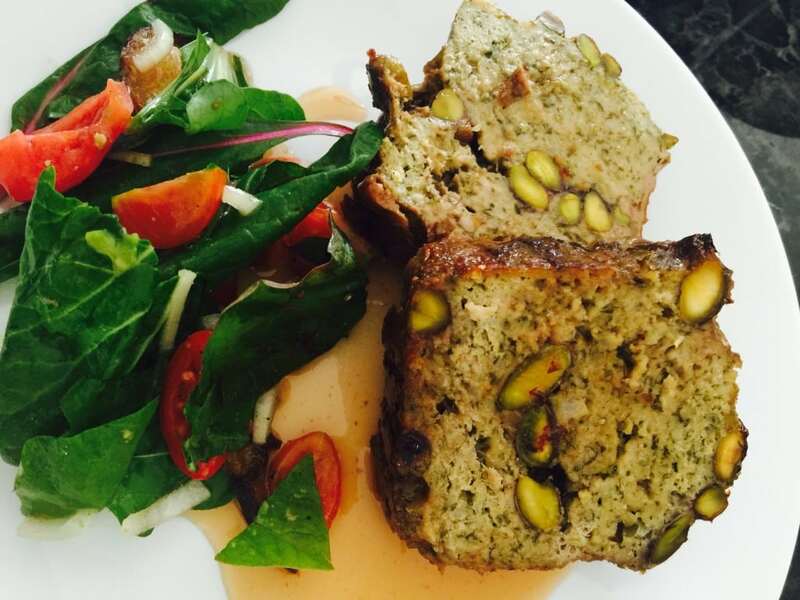 This terrine has a delicate flavor. Set oven to 180 degrees Celsius. Put all ingredients except pistachios into food processor. Pulse all ingredients until well combined. 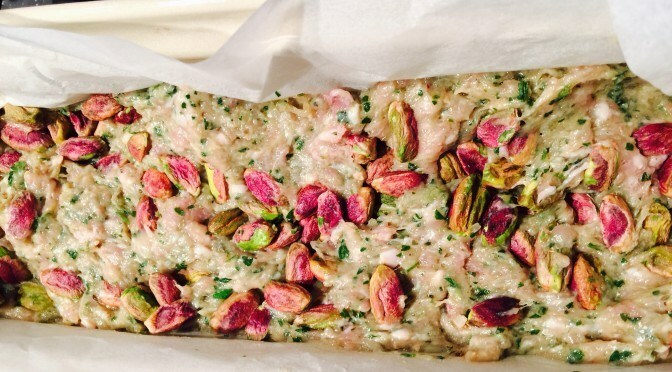 Line a terrine dish or loaf pan with baking paper. Sprinkle 1/3 of the pistachios onto the base of the pan. Gently add half of the meat mixture. press down evenly. Add another 1/3 of the pistachios, sprinkled evenly over the meat. add the rest of the meat. 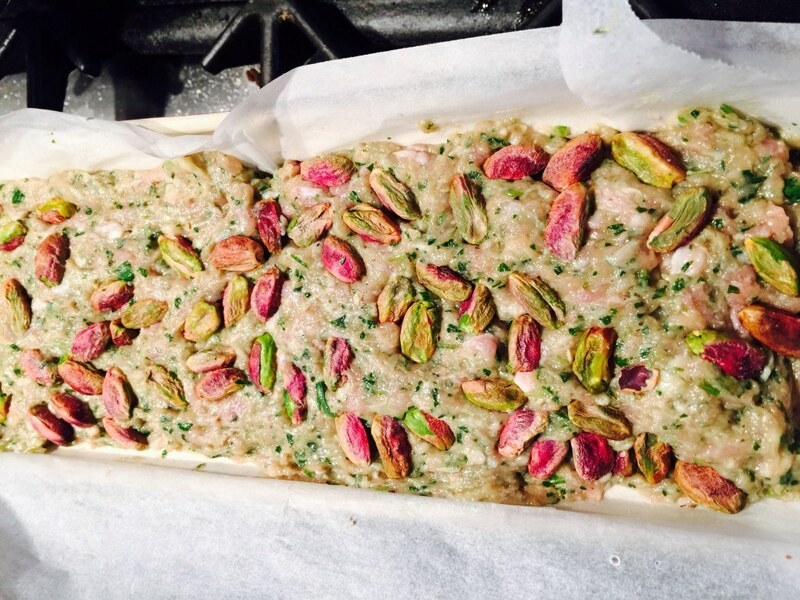 smooth the top and sprinkle last of the pistachios. cover with the baking paper. Add a lid or seal with aluminum foil. Bake for about 1 hour and 10 minutes or until golden on top and firm to touch. Can be served warm or cold. Turn out onto serving plate and pour over the glaze. Put these four ingredients into a small saucepan and warm together until smooth.